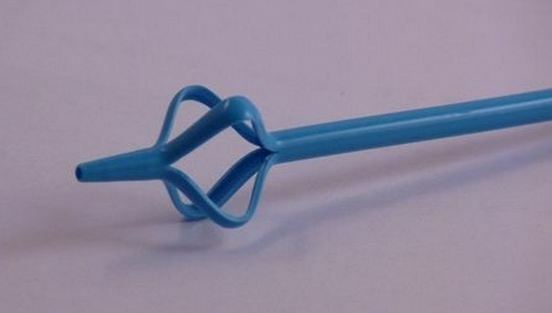 Used to provide drainage following open renal or bladder surgeries. Malecot wings are employed to provide enhanced drainage and promote catheter retention MALECOT CATHETER provides maximum softness for enhanced patient comfort and provides a useful alternative to latex catheters. Catheters are supplied in sterile peel-open packages. Intended for onetime use only. Catheters are made of Polyurethane material. Color is blue.